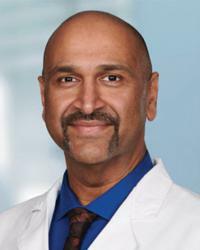 Dr. Nair is board certified in pulmonary diseases. He earned his medical degree at Government Medical College in Thiruvananthapuram, India, and completed a fellowship in pulmonary and critical care medicine at Baylor College of Medicine in Houston. Prior to that, he served as a hospitalist, chief resident and resident at St. Luke's Hospital in Bethlehem, Pennsylvania. Other specialties include: COPD, Pulmonary Fibrosis, Pulmonary Hypertension, Sarcoidosis, Pleural Effusion and Chest Tube Management and advanced Bronchoscopic Procedures.